Well here we are at the end of the year once again! I know many of you have finished, some are still wrapping up. But soon you will be enjoying a nice break and some festivities. I am sure you have all earned it! At MAV we have been busy right up to the end of the year, with various projects underway, and planning for 2019. We have some exciting initiatives to come for 2019, some of which you can find out about below. 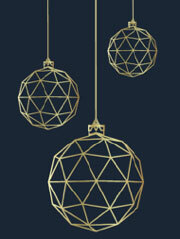 I wanted on behalf of the MAV Council and staff to wish you all a very Merry Christmas and a happy new year! MAV is looking for suitably qualified and/or experienced educators to support its in-school professional learning. 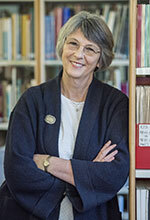 This may involve coaching, modelled teaching or planning support; all to enhance teacher capacity. We have a number of opportunities, particularly in the western metropolitan area. Should you be interested in consulting (as an independent contractor) with the MAV please submit an expression of interest to Ellen Corovic ecorovic@mav.vic.edu.au by Tuesday 8 January. Please include a two page CV and a covering letter including your availabilities. MAV education consultants Ellen and Jen will provide guidance and support including a training and planning day on Friday 8 February 2019. We have bookings open for a number of 2019 professional learning events: Book now, as we have some big names, and our VCE program for term 1 is open for bookings. Membership renewals are due for 2019. Please ensure you pay ASAP to have ongoing access to member benefits in 2019. Thank you to those who have already renewed, we appreciate your support greatly! You can renew or join online here. 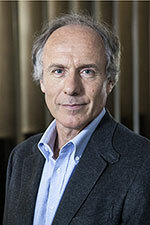 For any issues related to renewing your membership contact Michael Green, at mgreen@mav.vic.edu.au. Two keynotes are currently available to view on the MAV website, and we have had an amazing number of views on each of these great speakers. We will soon have video of Eddie Woo and Robyn Jorgensen available too! The Australian National University (ANU) is running a special version of its popular Introduction to Actuarial Science course for Year 11/12 students in Australia over a flexible time period in Term 1 2019. The course is a Massive Open Online Course (MOOC) and is FREE for all students. Call to action: Click here for more information and to register interest. The AAMT (QAMT) 2019 conference has a focus on inspirational mathematics teaching, collaborating with our communities and the future of mathematics education. It offers a unique opportunity for teachers, researchers, mathematicians from the workplace and our communities and leaders from education and government to exchange and network. For further information, What are you waiting for? Buy me now!. Do you have what it takes to solve a real-world maths problem? Heading into its fourth consecutive year in Australia, the International Mathematical Modelling Challenge is a team competition for up to four secondary students and one team advisor that aims to promote mathematical modelling to solve problems of real-world importance. Since 2016, participation numbers have tripled each year, making this widely popular and completely free to enter challenge essential for mathematical modelling for secondary schools in Australia. To register your interest for 2019 click here. MAV is a supporter of the IM2C. If you’d like more details, please email Jill Wilson: jill.wilson@esa.edu.au. Looking for a great maths incursion to end 2018, or start 2019? Then why not try The Maths Show? 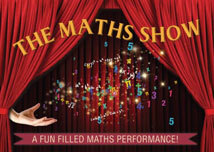 The Maths Show is a unique live stage performance– a combination of maths magic, history, puzzles, audience interaction and much more. Your students will be roaring with laughter, wondering ‘wow!’ how did that happen, and certainly seeing maths from a different angle. The production is proudly sponsored by The MAV and is brought to you by the same team that created The History of Maths, Famous Female Mathematicians, Maths and Cricket and more. It also comes with a full set of teacher resources produced by The MAV for follow on work. 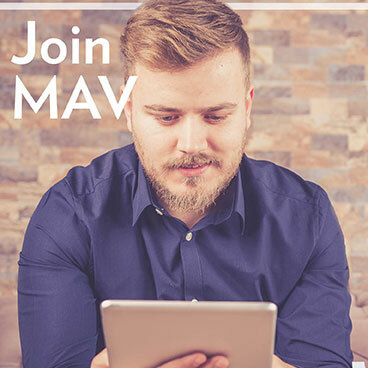 Discounted prices are available for MAV members. Stock up for the new year! MAV shop is open for sales across the break, and we will deliver by the end of January. 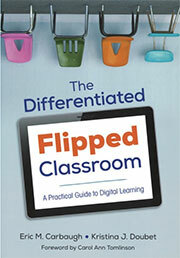 Manage the Differentiated Flipped classroom Includes practical examples and a resource-rich appendix. Make your flipped classroom a true place of learning with this go-to guide! 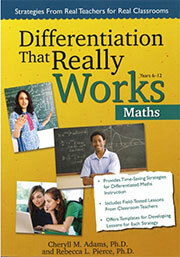 This practical book presents teaching strategies and lessons for differentiated mathematics instruction. It is packed full of time-saving strategies and lesson ideas created and field-tested by practicing professionals in their own heterogeneous classrooms. These lessons can be used as written or can be modified to meet the needs of a particular classroom. 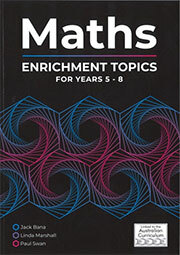 The content of this book is linked to the Australian Curriculum in Mathematics, and designed for students to pursue very interesting maths topics that are often missed in standard classroom lessons. There are 17 separate topics, each with a detailed coverage. Every topic has worksheets that can be copied for students. Answers are provided for all worksheets. Topics span a wide range of interests and difficulty levels. Topics are ideal for extension work, as well as in motivating classroom lessons. What are you waiting for? Buy me now! All students should be encouraged to engage with higher order thinking tasks. 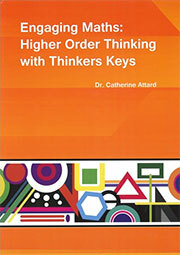 This book uses a critical and creative thinking tool called Thinkers Keys, adapted to be specifically mathematical. The keys indicate the kind of thinking needed to do the task: ‘reverse’ thinking, ‘what if’ thinking, ‘invention’ thinking, ‘prediction thinking’, even ‘ridiculous’ thinking. Could your students invent a calibrated measuring device to measure liquid? Or list reasons why a mental strategy might be better than a written strategy for a particular problem? Or find the question if the answer was given in hours and minutes? A comprehensive table explains the different keys and gives an example activity. There are a number of carefully annotated student work samples. In the first section, the activities are based on content from the Australian Curriculum, in the second the activities are based on specific concrete materials commonly available in most primary mathematics classrooms. Engage your students with creative mathematical thinking! Get creative! Order your copy today.